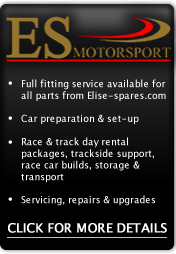 Elise Spares manufactured rear diffuser support plate / number plate mount. To suit Lotus 2-E.. Stainless Steel hose Clips. Size: 11-16mm. Pack of 20 .. Stainless Steel hose Clips. Size: 13-20mm. Pack of 20 .. Stainless Steel hose Clips. Size: 14-22mm. Pack of 20 .. Stainless Steel hose Clips. Size: 17-25mm. Pack of 20 ..